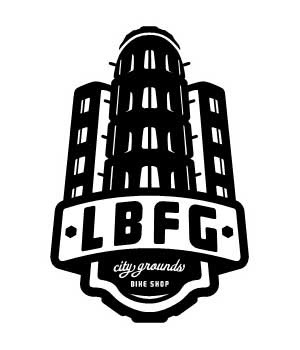 LBFG is City Ground's first specialty bike shop located in the East Village Artist District of downtown Long Beach, CA. LBFG is a full service bike shop and service station. They've got you covered from basic tune-ups and installations to custom wheel-builds and complete overhauls. LBFG's mission is to gather and serve the fixed gear community with quality merchandise, impeccable service, and a point-of-destination to live, breathe, and eat everything fixed! 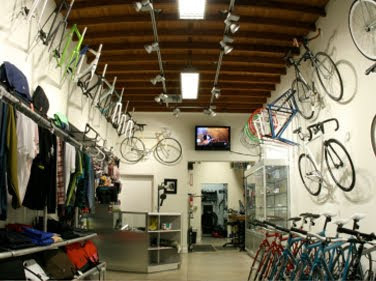 Come by and check out their extensive selection of completed bikes, framesets, components, and gear. Whether you are new to fixed gear cycling or have been riding for years, their knowledgeable staff will be more than happy to walk you through a custom build and help you make an informed purchase. Peep out the ill logo designed by the one and only Benny Gold.